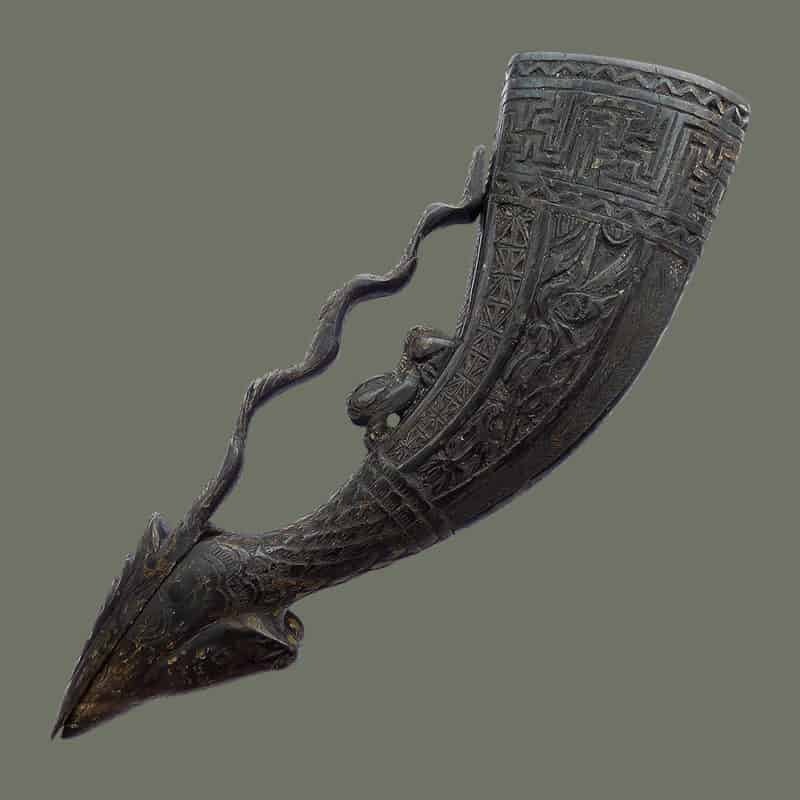 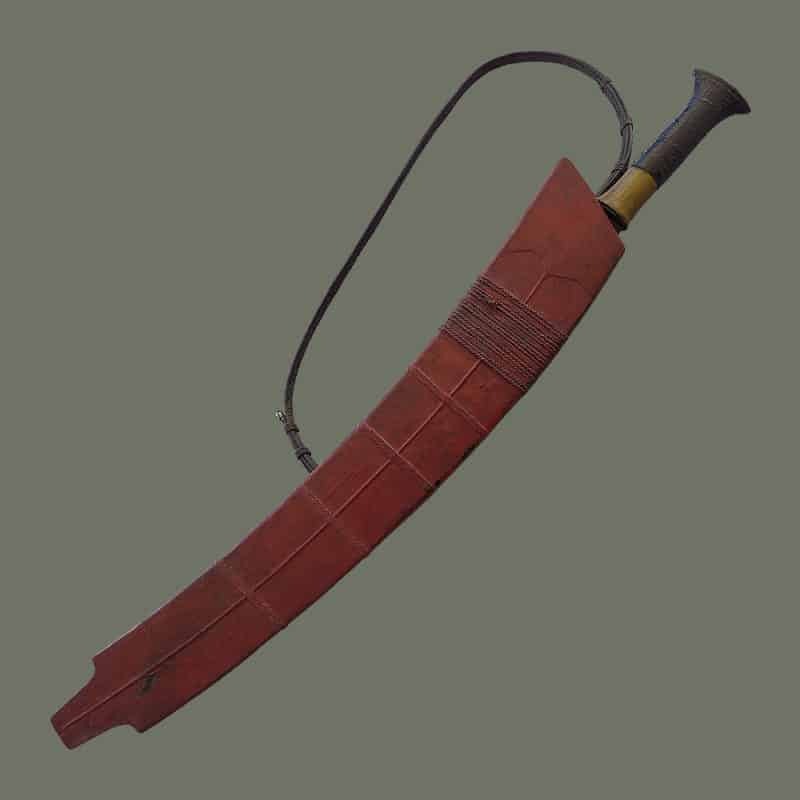 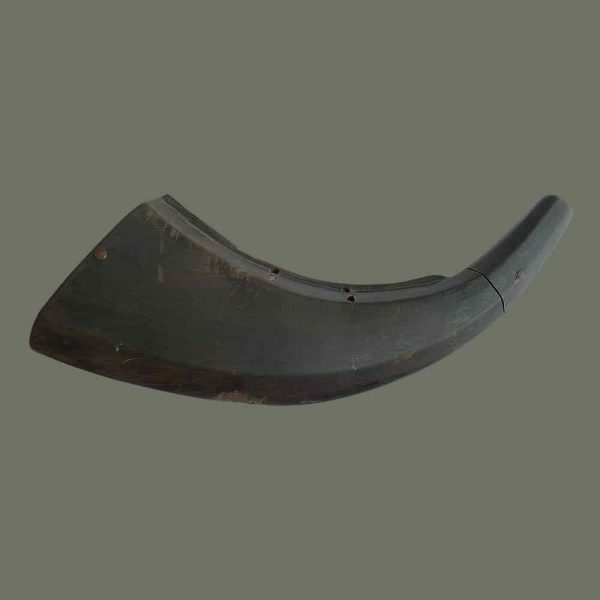 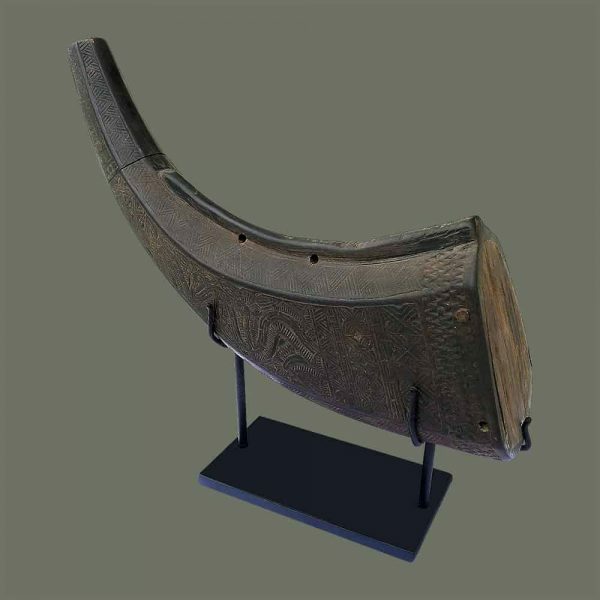 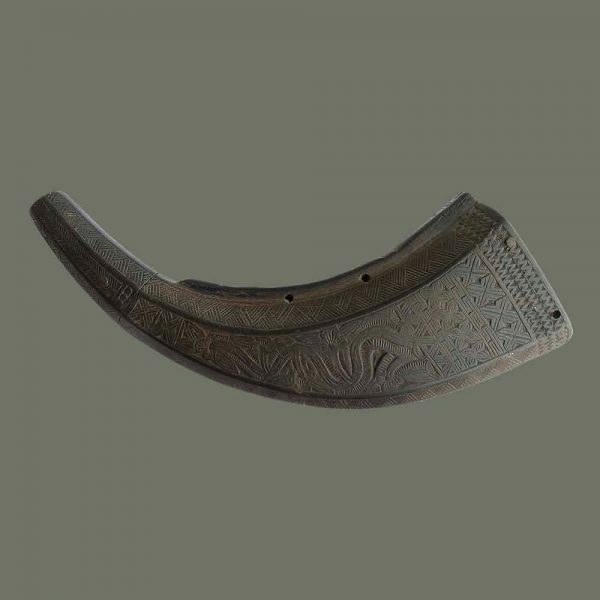 From the Chinese Hmong (Miao) people, this old powder horn has beautiful carving on one side. 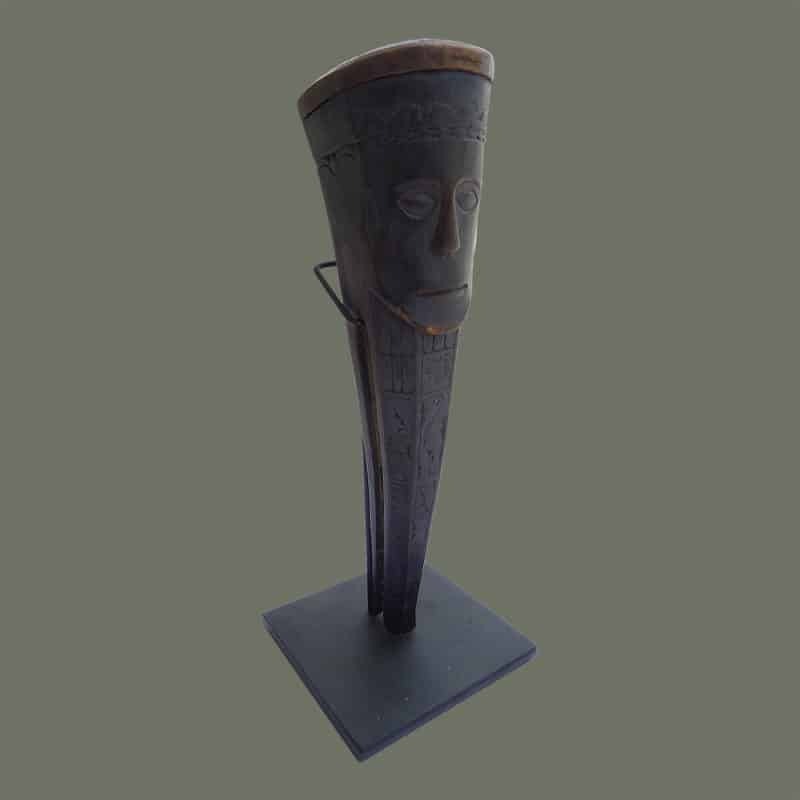 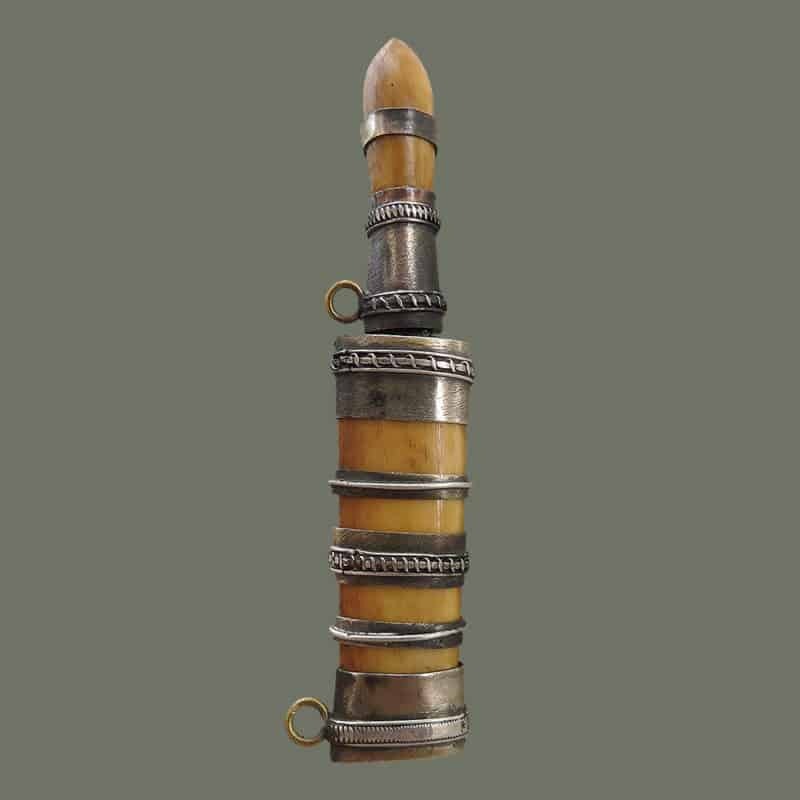 Made of real horn, it has been filled with wood at the large end. 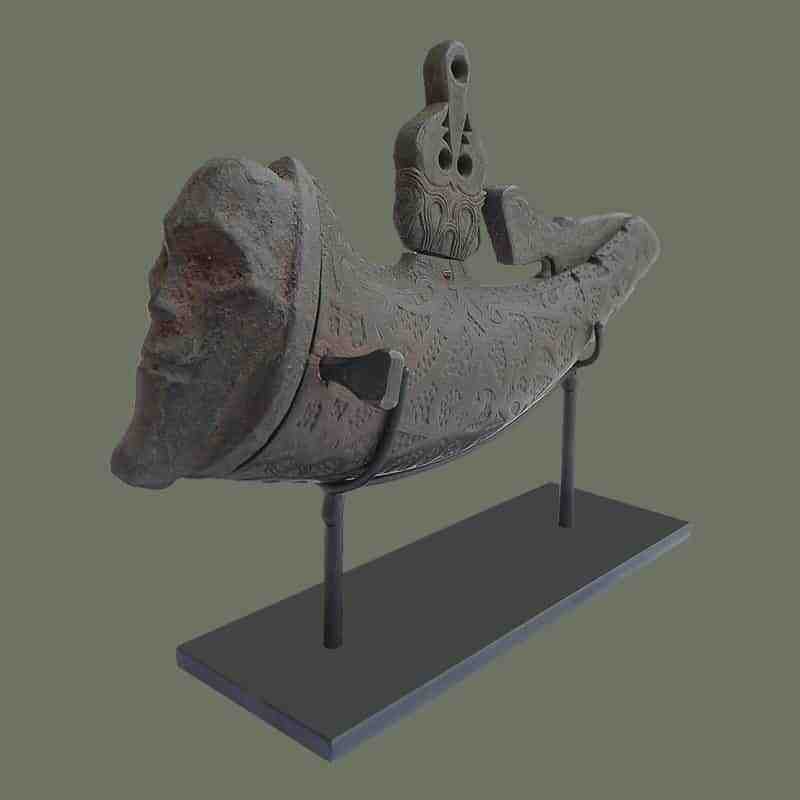  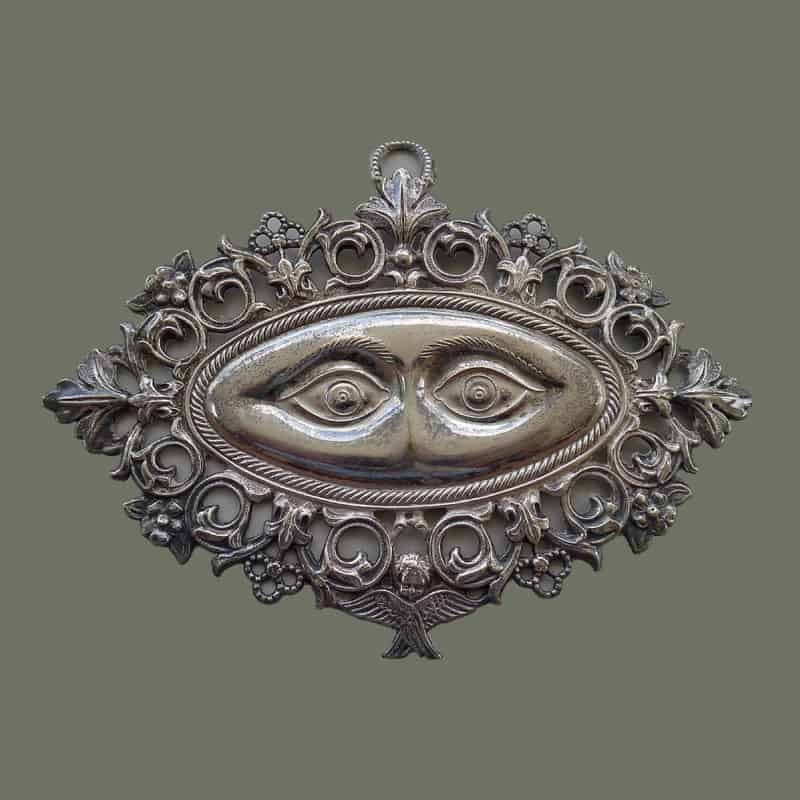 This one is like one included in the collection of the Bowers Museum in California, USA. A custom made iron stand is included. 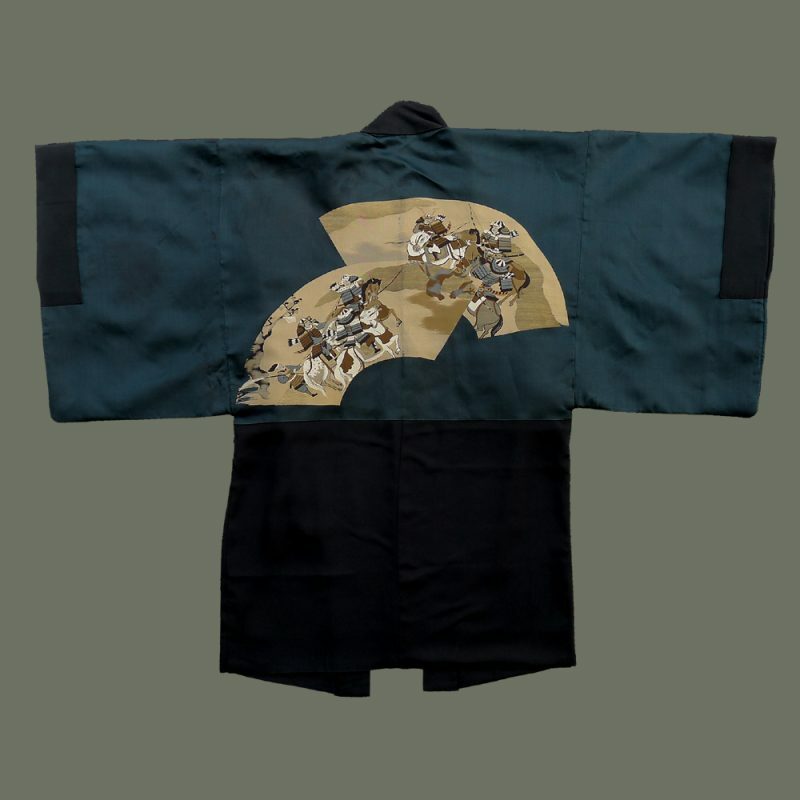 We no longer see these fine old pieces available.